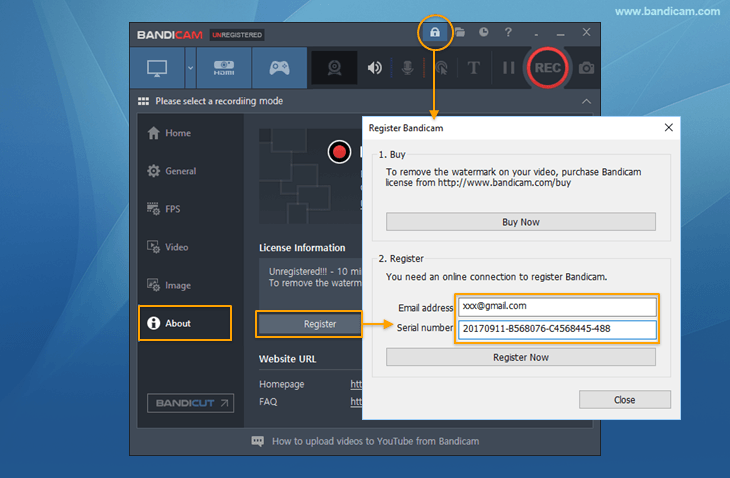 This 'About' tab helps to register the license and carry out Bandicam updates. Update check: The 'Update check' option checks the version status of Bandicam and makes changes to the update notification settings. 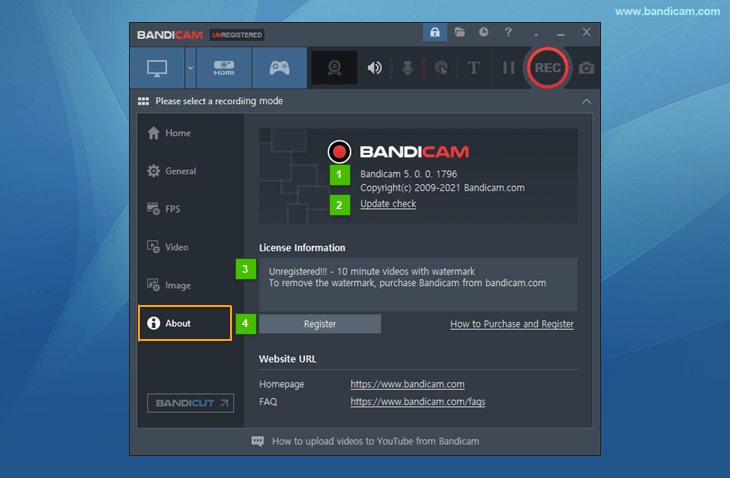 Register: The 'Register' button opens the 'Register Bandicam' window that is for the registration of Bandicam. Click the 'Lock' image and enter your email address and serial number to register.